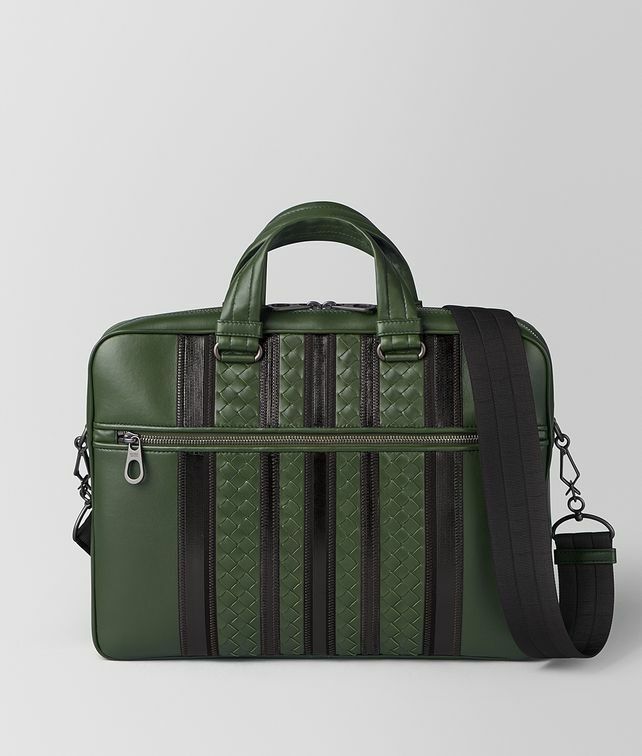 This compact briefcase is crafted from rich nappa leather in the new tech stripe workmanship. The unique and bold look is achieved with a mix of hand-woven intrecciato and coated grosgrain ribbon with zigzag stitching. The top-zip style features a detachable cross-body strap made of padded nylon, a front zip pocket and a lightly padded interior pocket to secure a tablet or laptop.